A busy exhibiting schedule with three different shows booked in as many months – each with a different size and footprint – required a modular exhibition stand that our client could repurpose again and again, without losing any of its appeal and effectiveness. Working to a fixed budget for all three shows we needed to find the most flexible solution. 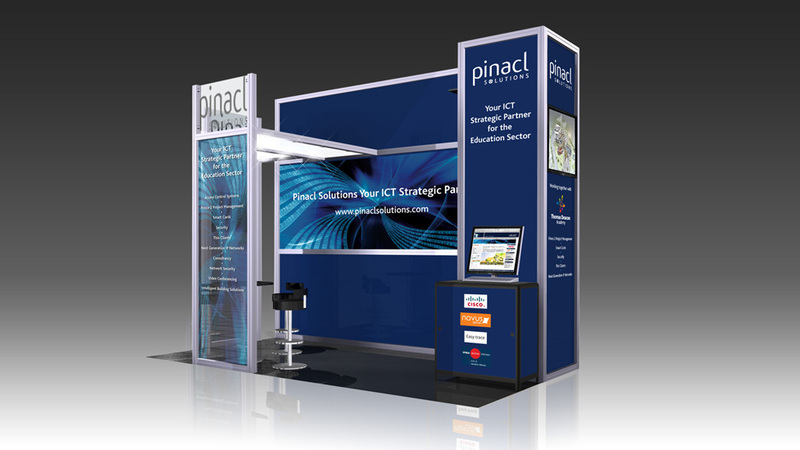 Using components from a prefabricated modular exhibition stand system, we were able to design a great looking exhibition stand that had the appearance and presence of a custom-built one. This approach allowed us to reconfigure the components, adding or taking away one or two extra graphics or panels as required, to deliver all three stands. Far from basic, this modular exhibition stand has integrated plasma TV screens, printed graphic lightboxes, overhead canopies with integrated lighting and secure storage rooms. 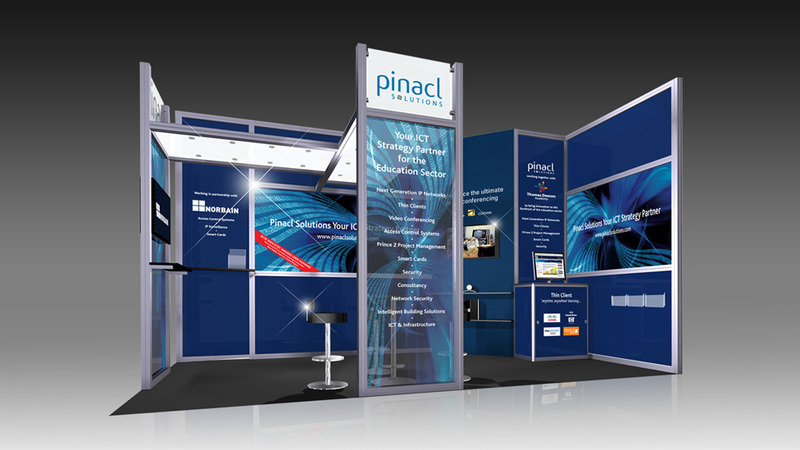 Taking care of not only the exhibition stand design, but the build, logistics, transportation and storage, we project managed Pinacl’s entire event calendar, allowing our client to concentrate on their products and customers. 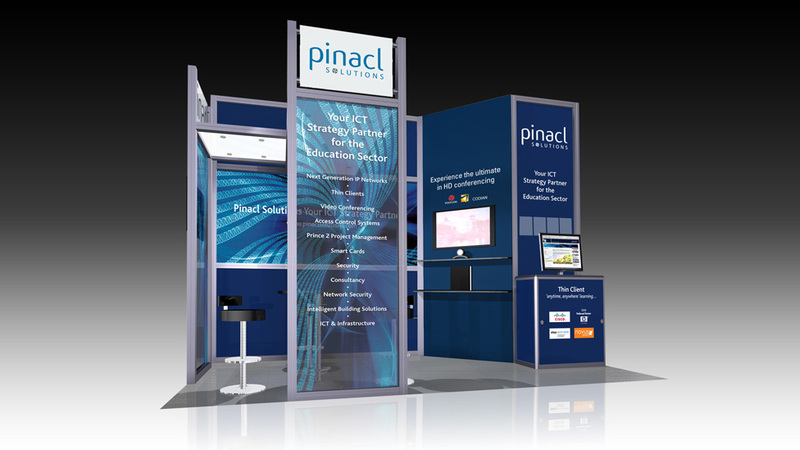 Over the years we have delivered a wide range of effective exhibition design solutions for clients of all shapes and sizes.